New England weather can be very humbling, even to a lighthouse. We camped the night of August 12-13 at Graves, in the middle of a spectacular electrical storm that swept New England. From our position at the top of the lighthouse, we had the perfect place to watch the lightning near closer and closer to Boston, and then sweep across from Plymouth to Salem as the bolts of electricity struck the earth closer and closer to us. At that point, given that we were at the highest point, more than 100 feet above the sea, and happened to be in a bronze enclosure that conducts electricity, we thought it better to descend to the stone tower. And we didn’t have a proper camera to catch the lightning show anyway. At the same time, from Winthrop, Boston Herald photographer Mark Garfinkel rolled out of bed and set up his tripod to catch the lightning action over Graves. 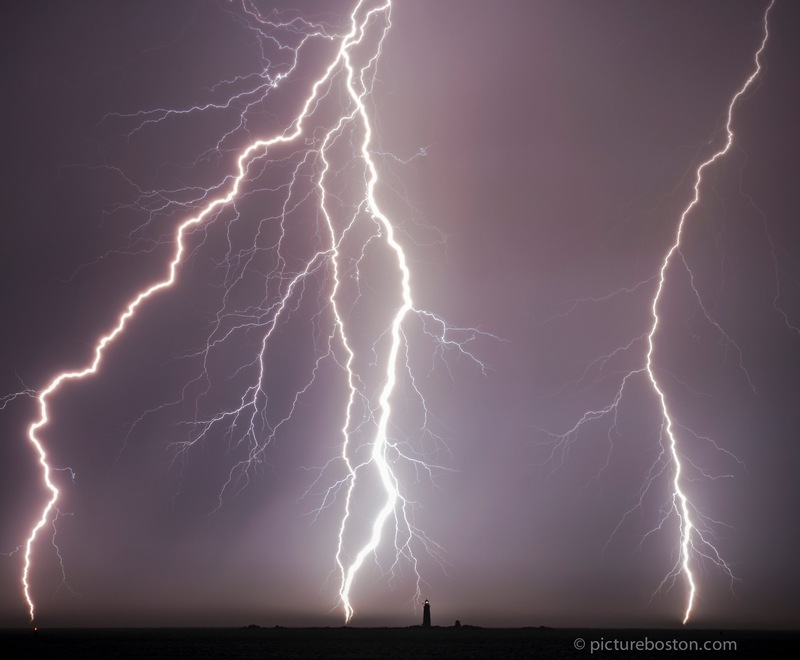 Above is his picture, a masterful piece of photography that captured the Graves beacon flashing as the lightning struck. What a magnificent show of the power and majesty of nature. See Mark’s blog, PictureBoston.com, and follow him on Twitter @PictureBoston.